Did Meghan Markle pay tribute to Diana ahead of her birthday by wearing this? Meghan Markle cheered on her husband Prince Harry yesterday at the Audi Polo Cup. 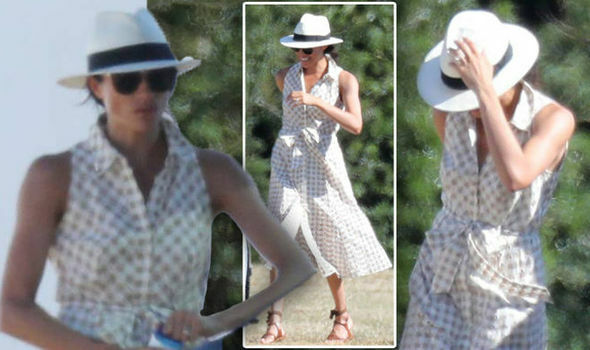 She wore a summer dress in a gingham print, was it paying tribute to her late mother-in-law Princess Diana? Meghan Markle, 36, is known for her chic, minimalistic dress sense, often choosing simple patterns or plain, block colours. 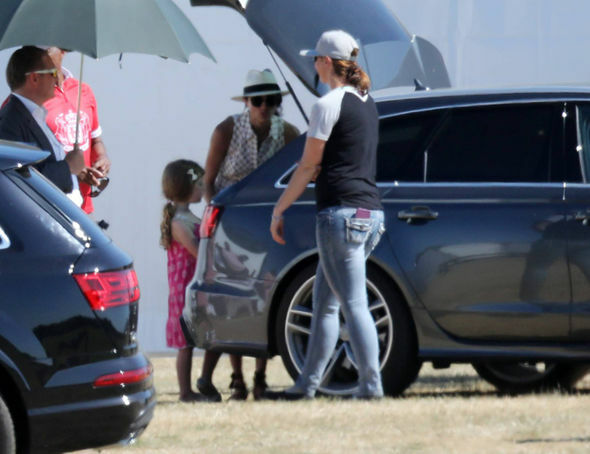 However, she was spotted yesterday at Cowarth Park Polo Club in Berkshire wearing a gingham summer dress. The traditional print was famously worn on multiple occasions by another royal, the late Princess of Wales, Princess Diana. Today marks what would have been the 57th birthday of the late Princess, who would have been Meghan’s mother-in-law. 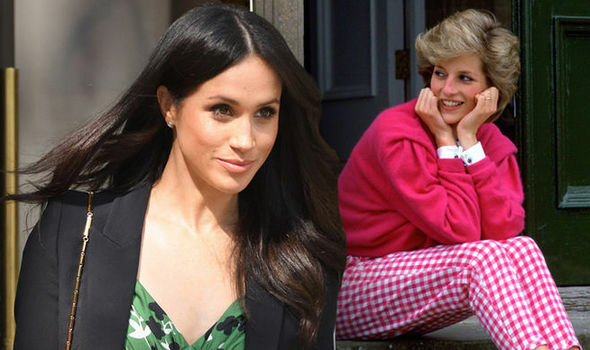 With gingham a beloved print of Diana’s, did Meghan pay tribute to her husband Prince Harry’s mother ahead of her birthday? 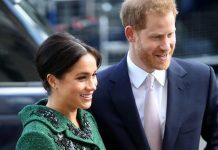 Meghan Markle: Ahead of Princess Diana’s birthday, did Meghan Markle pay tribute to her? Gingham was a print favoured by Diana often snapped wearing the traditional pattern, most famously her pink gingham trousers. 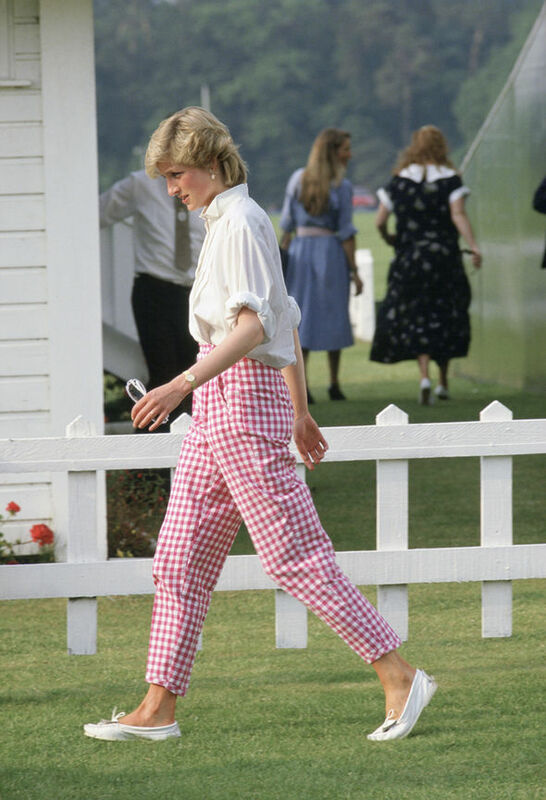 Princess Diana wore the pink gingham trousers to polo matches, snapped wearing them at Guards Polo Club in Windsor. Meghan also attended a polo match yesterday, choosing for the first time since becoming a royal to wear the print in public. The Duchess’ dress had eyelet detailing, a tied belt at the waist and a wide, open collar, which Meghan wore buttoned down, also a style sported by Diana on multiple occasions. One of Diana’s most iconic photographs also features those same pink gingham trousers, Diana siting on the steps outside her country home, Highgrove, in 1986. 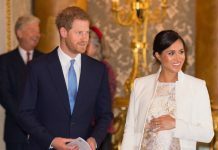 Pink was another favourite shade of Diana’s, with Meghan spotted in the colour on almost every royal or state occasion since becoming a royal in May. Kate Middleton has often paid tribute to Diana, often at the birth of her and Prince William’s children. Kate famously wore a a long sleeved bright red dress for the birth of Prince Louis, which had a white lace Peter Pan style collar. The white collar and red shade bear a striking resemblance to what Diana wore when she left the hospital with William’s brother Prince Harry in 1984. Both Meghan and Kate also regularly wear pieces from Princess Diana’s personal jewellery collection, a nod towards the close relationship Diana had with her sons. 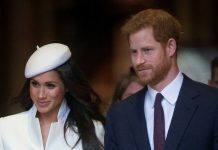 Kate’s engagement ring famously belonged to the late Princess, while Meghan Markle’s giant aquamarine cocktail ring worn at her wedding reception also belonged to Diana. It is no doubt that today will be hard for Harry, who has spoken openly about the effect his mother’s death had on him. With just over 20 years’ passing since the beloved Princess’ tragic death, Prince Harry and Prince William marked the anniversary last year with two documentaries, where they spoke about their mother. In the documentary the 33-year-old prince, who was 12 at the time, revealed he tried to suppress tears at his mother’s funeral, while watching crowds weep around him. 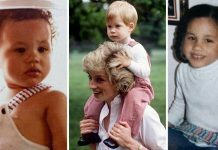 There is no doubt that Princes Harry and William, along with Meghan and Kate, will celebrate Diana’s birthday today.